Best Buy is celebrating 50 Years! 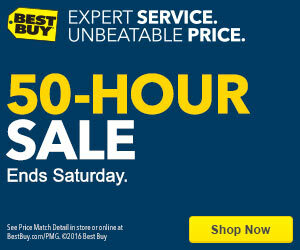 Don't miss out on the 50-Hour Sale. 50-Hour Sale — 50 Years. 50 Epic Deals. 50 Hours Only. Ends Saturday.